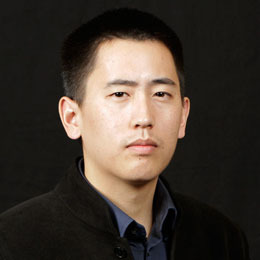 Elim Kay has been involved with technology ventures since 2002. Through a private partnership, he acquired the then-small online community, ClubLexus.com in 2002 and served as Managing Director until its acquisition by Internet Brands, Inc. in 2007. He is currently Co-Founder and COO of Zaka Inc. (iHeartLocal), a business/consumer technology and analytics company. In addition, he is an active angel investor, Advisor for Jio Health, President and Board Member of Kay Family Foundation, Board Director of a private consortium of operating and holding companies, Venture Partner of K5 Ventures, and Managing Partner of a number of private opportunistic investment funds. He is also Managing Partner of NuPacific Partners, a talent and athletic management agency that focuses on a niche of enabling their clients to build their fan base, sponsorship base, and overall exposure both locally in the United States as well as the Asia region. He currently serves on the Board of Trustees of the Samueli Academy, the Board of Governors of Chapman University, and Board of Counselors of Chapman University’s Argyros School of Business and Economics. He received his B.A. from Chapman University. Elim was recently selected as one of the top serial entrepreneur winners for the 2016 CES Mobile Apps Showdown. You can learn more about his experience in 2016 CES winners share success secrets for the enterprise.